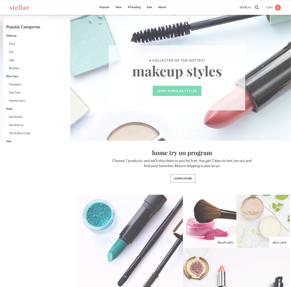 Featuring an energetic white background and minimal but attention-grabbing black text, the Stellar theme is ideal for modern, multi-faceted brands. 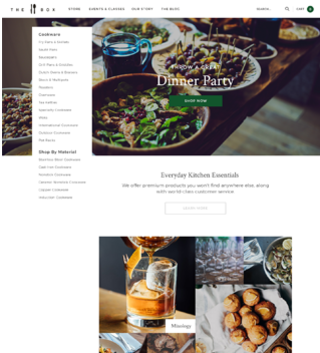 This crisp, fully responsive theme allows for both a top and side navigation, opening up your options for multiple menus to help customers find the products they want. 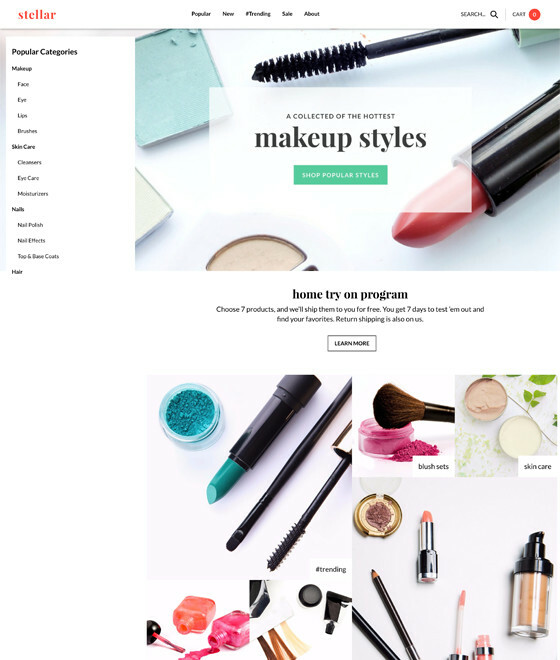 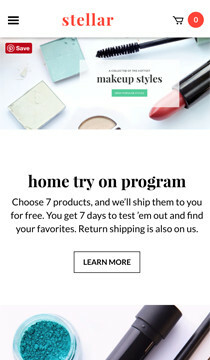 Layers of intriguing but organized options on the homepage empower your customers to have the experience they want, from browsing featured products to visiting popular categories and promotional pages.